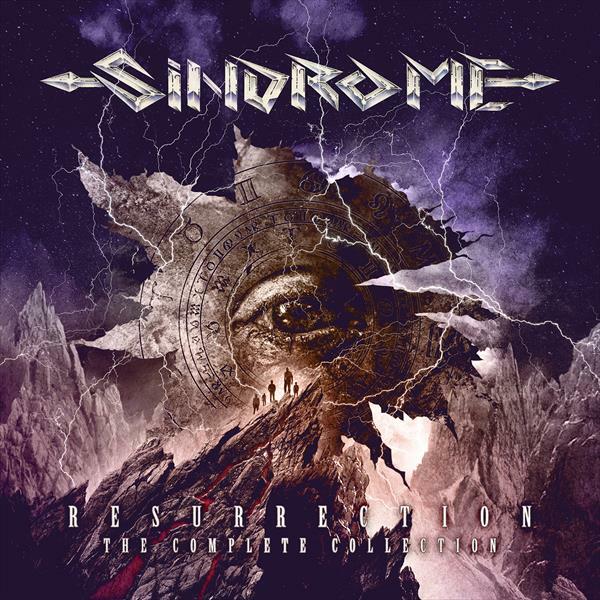 Review: "Sindrome: Resurrection-The Complete Collection" - Sea of Tranquility - The Web Destination for Progressive Music! Sindrome were a little known Chicago thrash band who released a few demos in the late '80s/early '90s but then disappeared from the scene after failing to land a record contract. Here we are nearly 30 years later, and Century Media has collected all those demo recordings, plus a live show of the band supporting Death on the Scream Bloody Gore tour of 1988, remastered it all and released them under the title of Resurrection-The Compete Collection. If you are like me, you've probably never heard of Sindrome, but boy it's a good thing that CM are bringing this material to our attention, as it's well worth hearing for any fan of the early thrash and death metal scenes. Musically, Sindrome put together some seriously heavy & complex arrangements, definitely bridging the gap between thrash and early death metal, with vocals that are pretty unique, somewhat gruff but certainly not growling. Highlights are many, but "Precognition", "Rapture in Blood", "Brought to the End", "Descending into Madness", and "Into the Halls of Extermination" are great examples of neck snapping metal from the early days when the genre was getting more and more extreme. "Extra Sensory Warning (E.S.W.)" has elements of Exodus, Anthrax, and Overkill, while "Astral Projection" nears Slayer type intensity with its ferocious riffing and raging double bass drumming. The sound quality is decent, still somewhat muddy despite the remastering, though the vocals were high in the mix and sound pretty clear here. Now, the live tracks on the other hand are another story. This is basically bad bootleg quality, and in some cases practically unlistenable, but, as a curiosity listen and rarity, I can see why the band & label decided to include them here. What you can make out, it sounds like the band were a pretty potent live act, as evident by "Surround the Prisoner", which kills on all levels. As forgotten metal rarities go, this is a cool little gem and well worth investigating. Too bad these guys didn't get the break they needed back in the day, but glad to see these recordings finally getting the release they deserved.